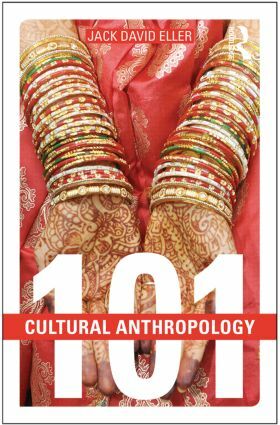 Cultural Anthropology: 101 includes case studies from both classic and contemporary ethnography, as well as a comprehensive bibliography and index. It is an essential guide for students approaching this fascinating field for the first time. "Cultural Anthropology: 101 is a jargon free, concise introduction to socio-cultural anthropology. The text offers a platform to a sub-discipline of anthropology, illustrating its major theories and concepts to the larger anthropological discipline and our ever-changing world. Undergraduates will discover an engaging text that offers numerous opportunities for further exploration". Gregory R. Campbell, The University of Montana. Jack David Eller has over twenty years of teaching experience and has published several previous books in anthropology, including a full-length textbook on cultural anthropology called ‘Cultural Anthropology: Global Forces, Local Lives’ (2013) and a textbook on the anthropology of religion.